Total expenditure for Muslim Millennial travellers (MMT) alone is expected to surpass US$100 billion by 2025, according to the Mastercard-HalalTrip Muslim Millennial Travel Report 2017 (MMTR 2017). This was based on a survey done with 372 individuals ages 18 to 36 years old worldwide. 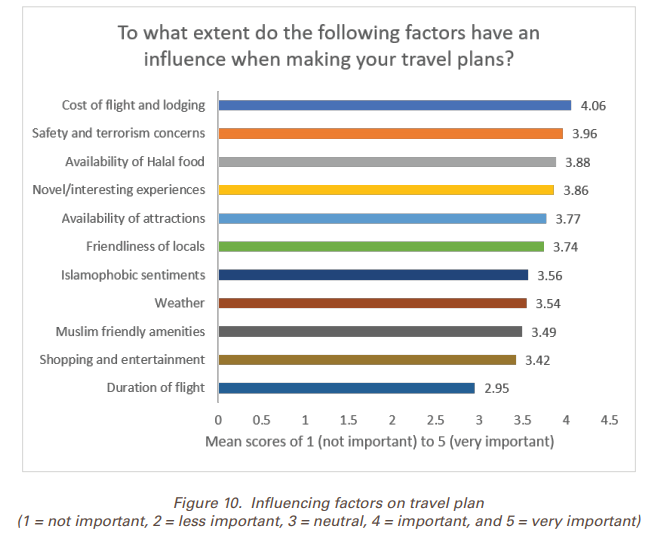 With the holiday season approaching, the growth of the young Muslim market segment poses a large potential for the international market of Muslim-friendly travel-related products and services. 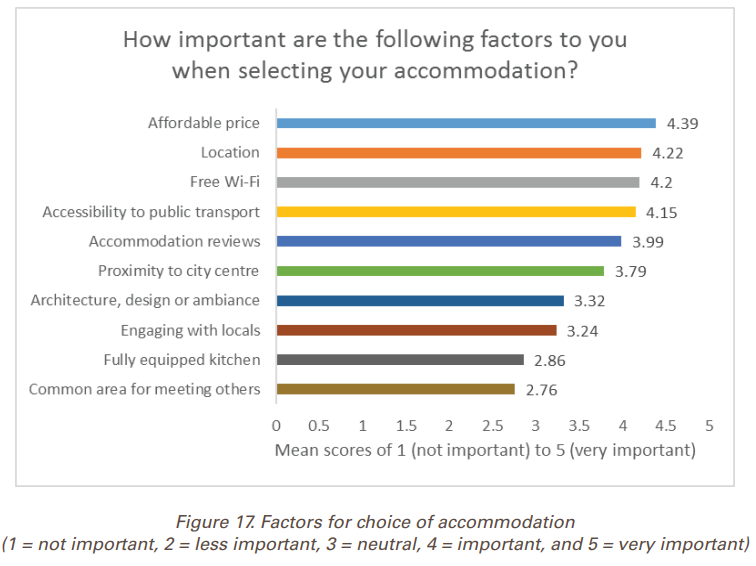 According to the report, the three As – authentic, affordable and accessible – summarise key travel patterns across the MMTs trip experiences ranging from planning to experiencing and sharing with others. 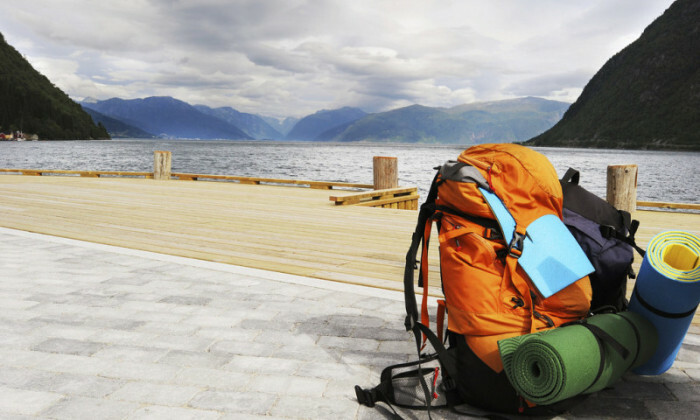 When it comes to authenticity, MMTs seek the discovery of new destinations and local cuisines, and flexible itineraries. 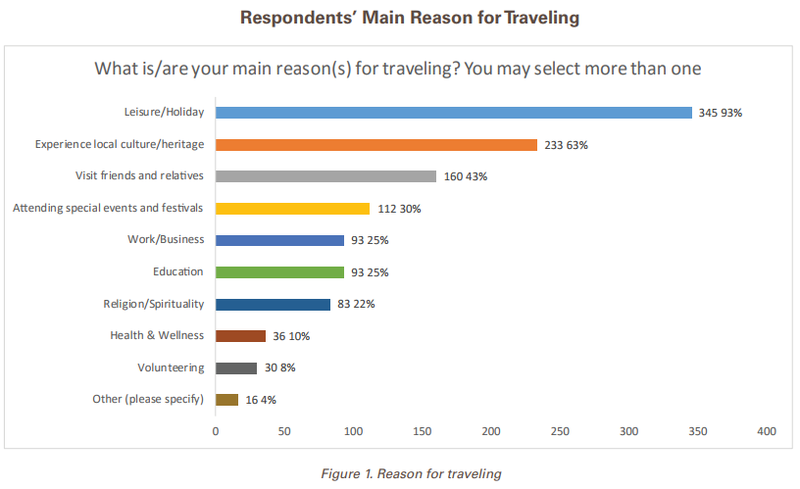 Leisure/holiday (93%) and experiencing local culture/heritage (63%) are the two main reasons for travel among MMTs. 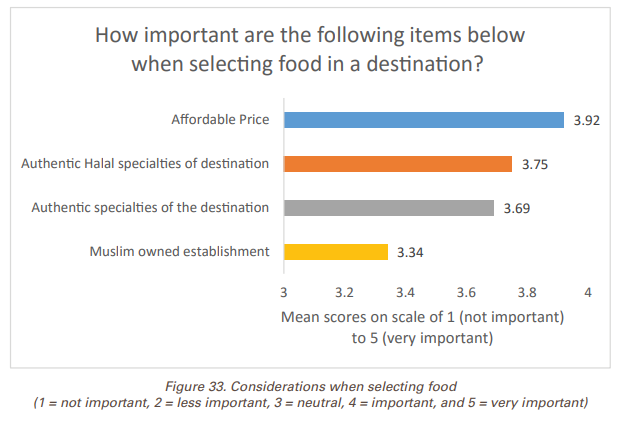 When it came to considerations when selecting food, authentic specialties of local destinations, Halal or not, was one of the important factors after affordable prices, coming in at 3.75 points and 3.69 points out of five respectively. 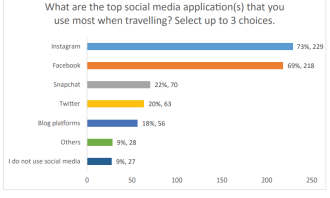 Additionally, MMTs surveyed indicated novel and interesting experiences (3.86) as one of the factors that would influence their travel plans. 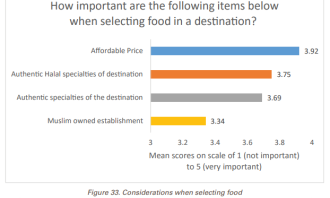 MMTs are cost-conscious when making travel plans, with more than half (54%) of MMTs spending between US$101 to US$500 on meals, while 49% spend between the same budget range on travel accommodations. 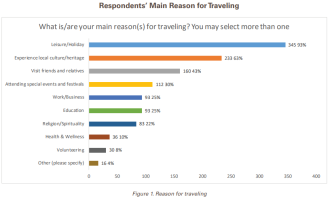 About 46% and 44% of those surveyed indicated they spend the same amount on shopping and flights respectively. 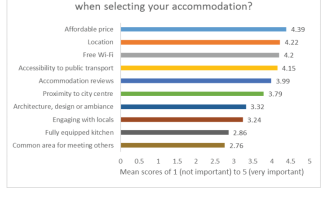 Affordability topped the rankings when it came to factors influencing MMTs to select their accommodations (4.39) and food (3.92). 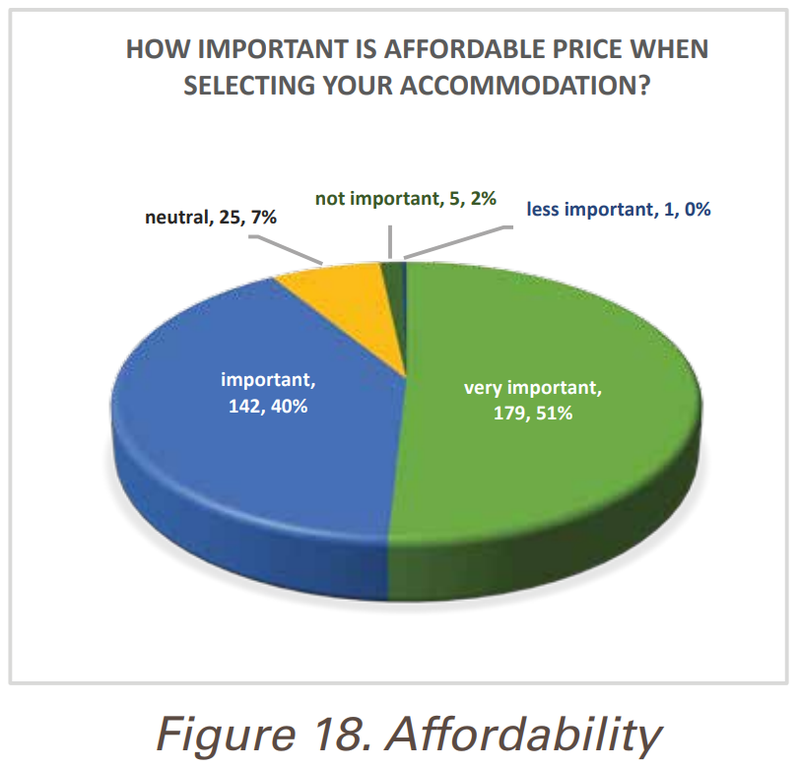 According to the survey report, 51% of respondents listed the affordability of food as very important while 40% said it was important. This particular market segment is also looking to be highly accessible and visible online, hence their focus on technology, information and sharing. 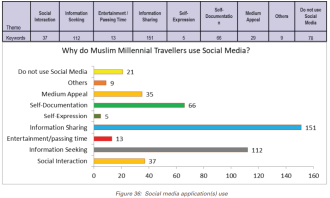 The survey report classified MMTs as digital natives who are heavy users of social media and connected with family, friends and other travellers through digital media platforms. 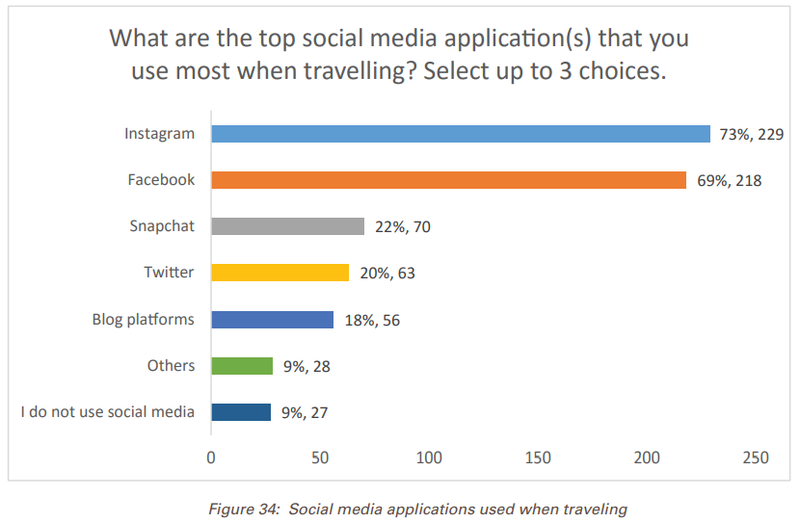 Instagram (73%), Facebook (69%) and Snapchat (22%) are the top three social media applications that those surveyed use most frequently when travelling. 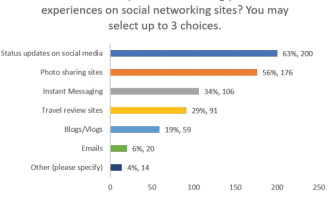 Their purpose of using such apps are to share status updates (63%), actively curate their journeys on photo-sharing sites (56%) and remain connected through instant messaging (34%). 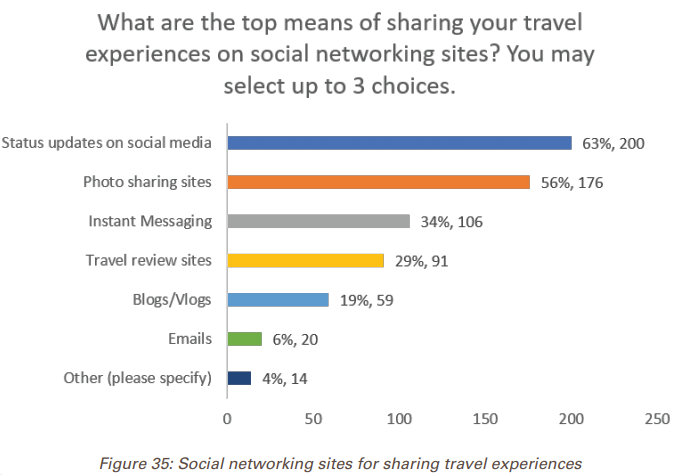 However, the report noted that a number of respondents stated they do not use social media to share their travel experiences or interact with others during their travels. 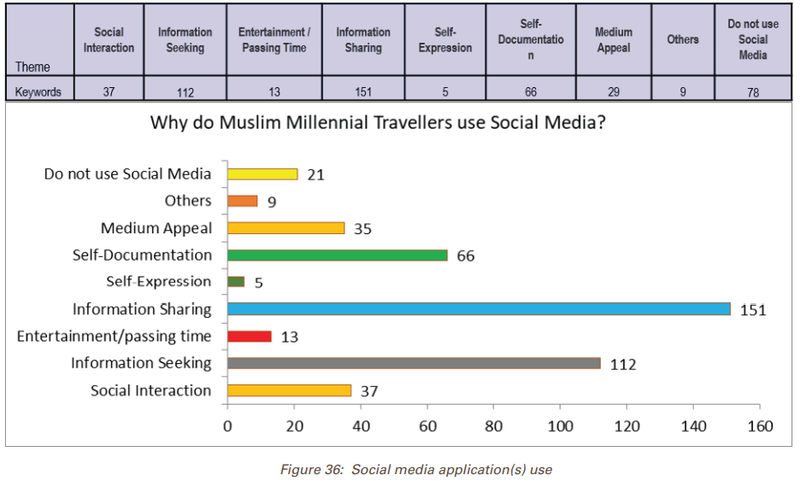 This reflects the diverse digital media preferences among MMTs in terms of their social media use and a slight shift in habits while overseas. 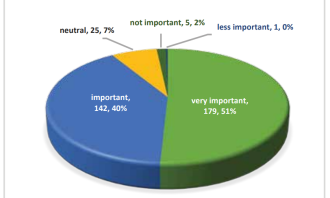 Out of the 372 respondents surveyed, 88% were from Asia Pacific while 5% came from Europe. The rest were from Africa (4%), Middle East (2%) and the Americas (2%). About 50% of respondents were well-educated and affluent MMTs who held professional, managerial, executive and technician occupations. Meanwhile, 23% were undergraduate or post-graduate students, and the remaining respondents were either from a wide range of occupations or are currently unemployed. 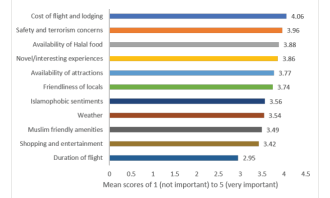 The report looks to evaluate the potential within the Muslim Millennial market for tourism destinations, tour operators, airlines and the tourism and hospitality industries. He has over 28 years of experience in the media sector having worked at agencies including McCann-Erickson, Bozell and Saatchi & S..
Chanel released its annual financial report recently for the first time in its 108-year history. The luxury French fashion house r..